I wake up the next day with muscle aches but a serious sense of enthusiasm (read article about the first two days). 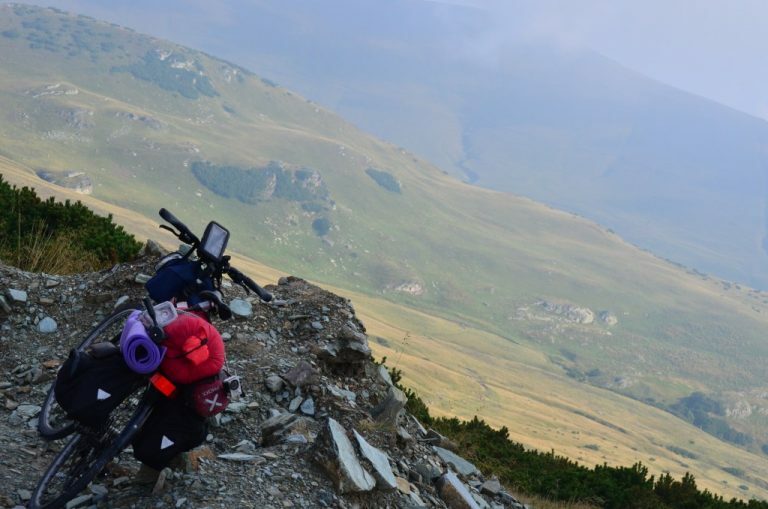 I had to tackle the highest mountain pass in Romania – one that goes up to 2145 meters. I firstly decided that I should enjoy the weather, scenery and my surroundings so I visited the ‘Women’s cave’ nearby. It was named rightly after women and children that were hiding there at times of war and danger. 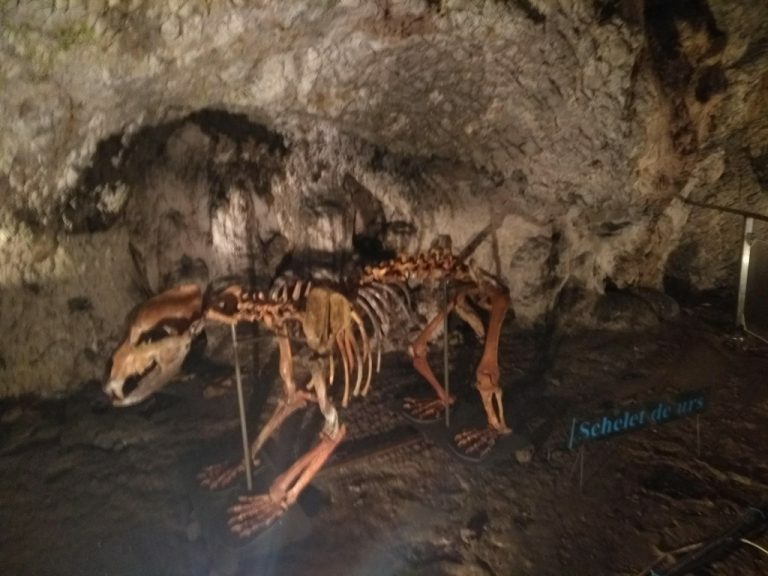 In addition to unusual colours and impressive stalactites and stalagmites, you will also see bronze, bone, flint objects and skeletons of bears found on the site. 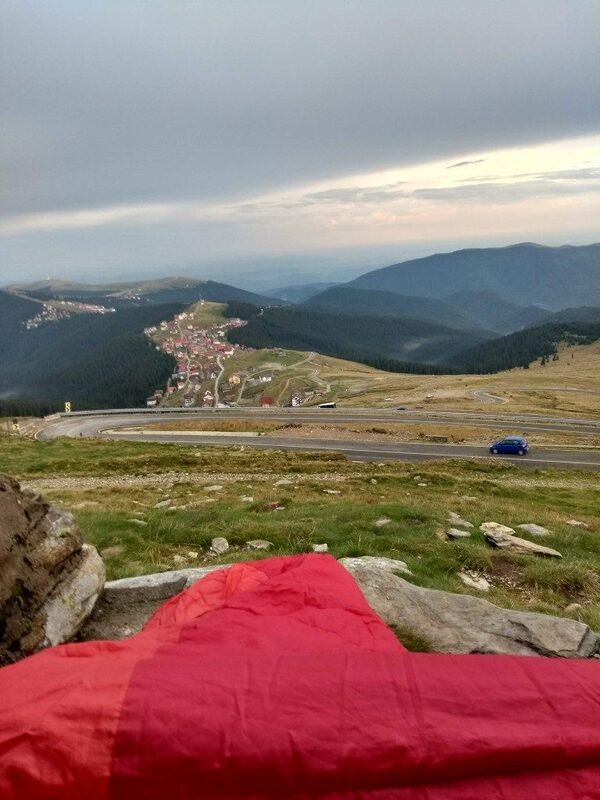 As the time was getting late, I decided that I will tackle Transalpina in two days and actually make use of the tent, sleeping bag and mattress that I have been carrying around since Bucharest. 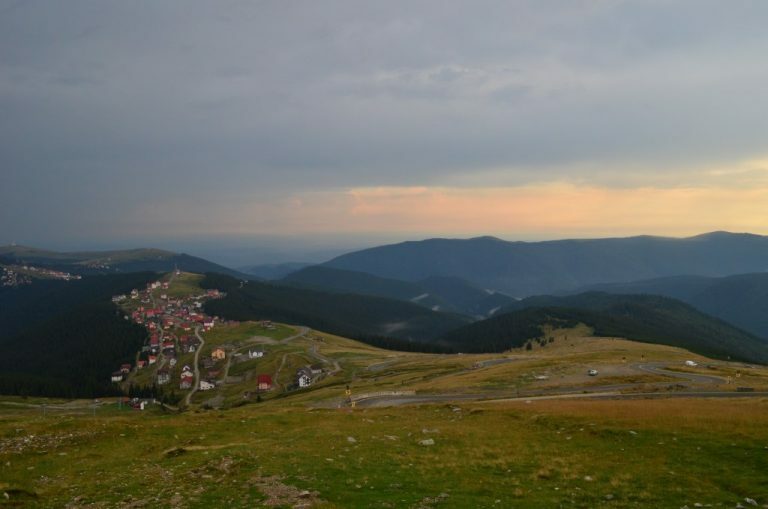 From Baia de Fier to the top of Transalpina I had 35 kilometers and all of them were uphill. 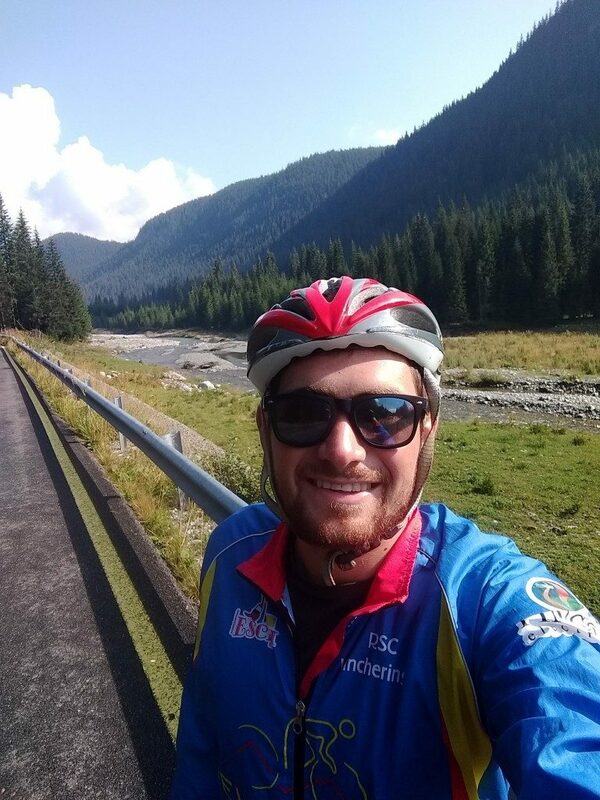 I need to make a confession: I crossed the alps a couple of times last year on my trip from London to Romania but it has not been as difficult as those 35 kilometers. 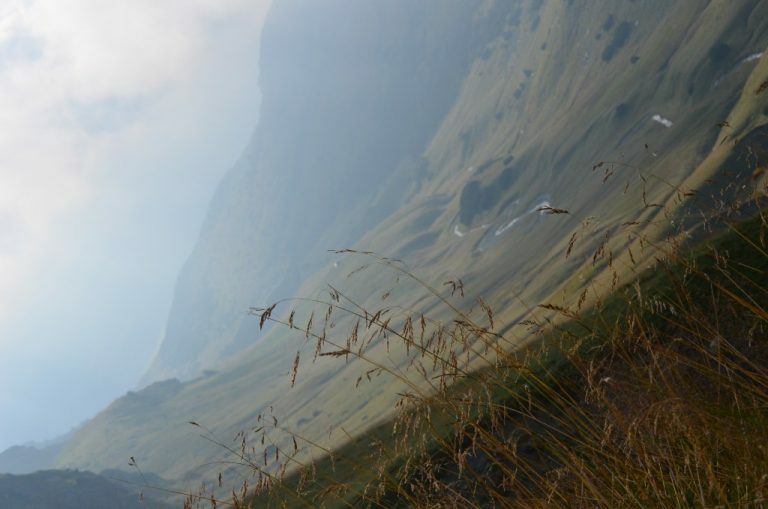 The view though was breathtaking – hell and heaven was what I was experiencing. 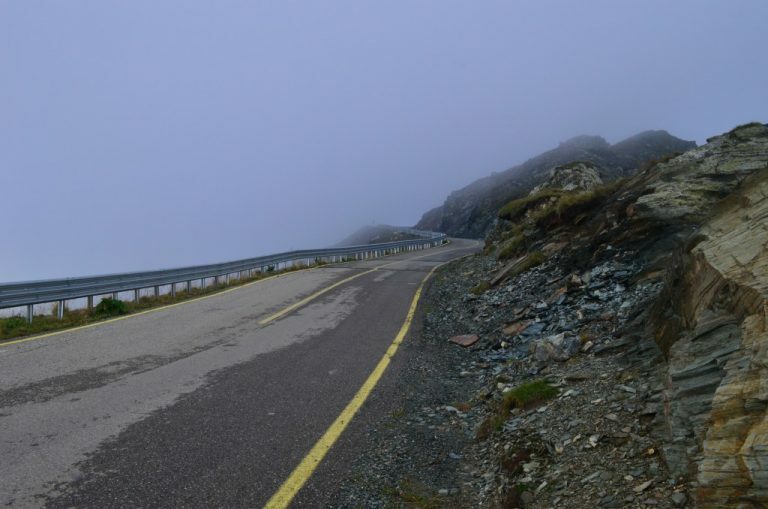 The steepness of the road was something I haven’t really encountered anywhere else. You would get a 15% gradient which is manageable for a few hundred meters but these slopes were a couple of kilometers lon. It didn’t really help that my tires were not fully inflated either. Safe to say I took a lot of “picture breaks” which you will hopefully admire below. 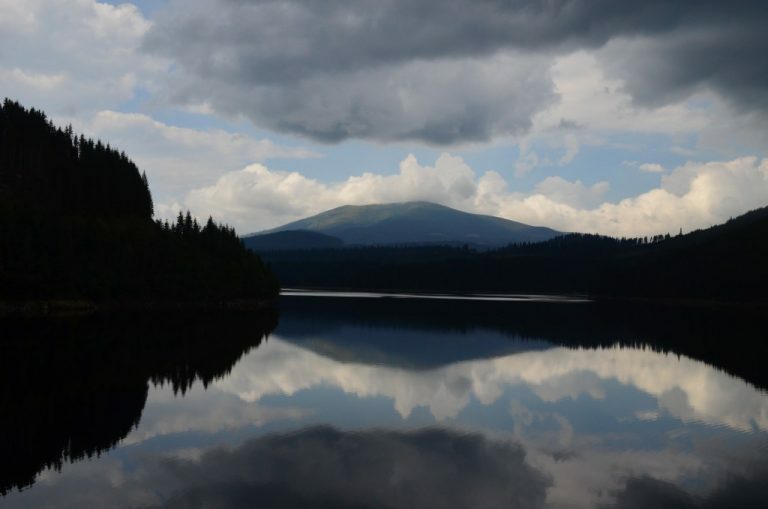 Rain, sun, temperature rising and falling – I loved all of it! 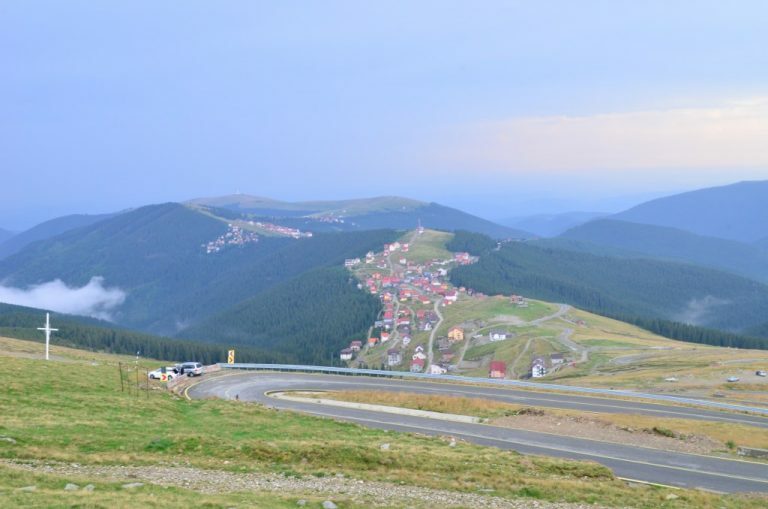 After a well-deserved food break in the Ranca ski resort, I set off to claim the final part of Transalpina. The road was, bending along a ski slope and as I was suffering on the last few 180-degree turns, I noticed a little abandoned cabin. I was thinking how cool it would be to sleep there and watch the sunset and my legs were thoroughly agreeing with my brain. So I hopped off the saddle and made a ‘expedition’ to the refuge built by the mountain rescue. Inside, the roof had a few holes but I was set to make this my bachelor pad for the night. So I get all my gear off the bike and check my tablet to see where I am. Surprise, surprise: I was nesting myself for the night at over 2000 meters’ altitude. 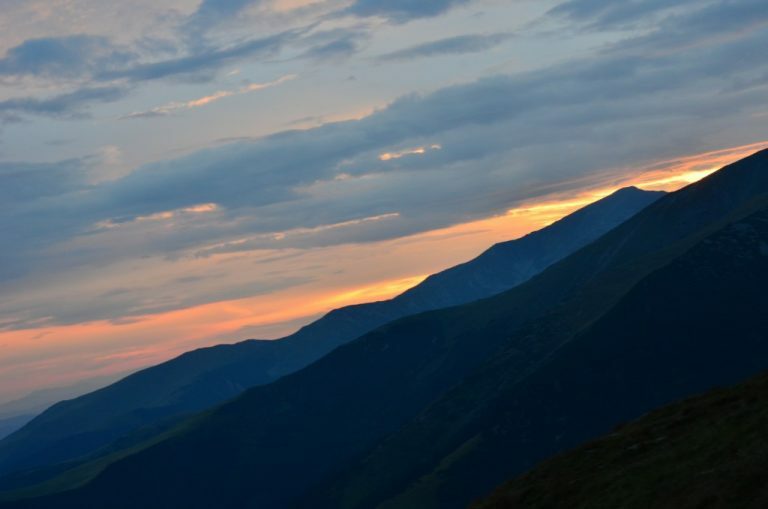 As the last cars were passing by, the sun was setting dramatically beyond the highest peaks of the Carpathian Mountains. This was the perfect set for a romantic dinner – the sun placing the village Ranca in a Shakespearean spotlight. I blame it on how tired I was, but the majestic view gave me a few tears and left me speechless. You should have been there to believe it but you know what they say – a picture is worth a 1000 words so I’ll let them speak for me. As I was settling down to get some rest, I hear a few excited voices approaching. Two Polish travelers have had the same idea as me and asked if they could join in my luxurious villa for the night. It was such a pleasure to hear that they have been traveling through Romania for a good week and loved their trip so much they are already planning another one for the year to come. We shared a few Romanian beers, star gazed and watched the pretty lights of the city Targu Jiu enhancing the splendor of the backdrop. We went to bed thinking that everything happens for a reason and left our friendship to doing this again in 12 months’ time. I wake up at 4 in the morning by heavy commotion in our little hut – It was raining like god forgot the tap on. The temperature was around 0 ℃ and the rain penetrated the refuge. The guys packed their stuff and smartly decided to sleep in the car whilst I was left scared for about half a minute and then just went back to bed. 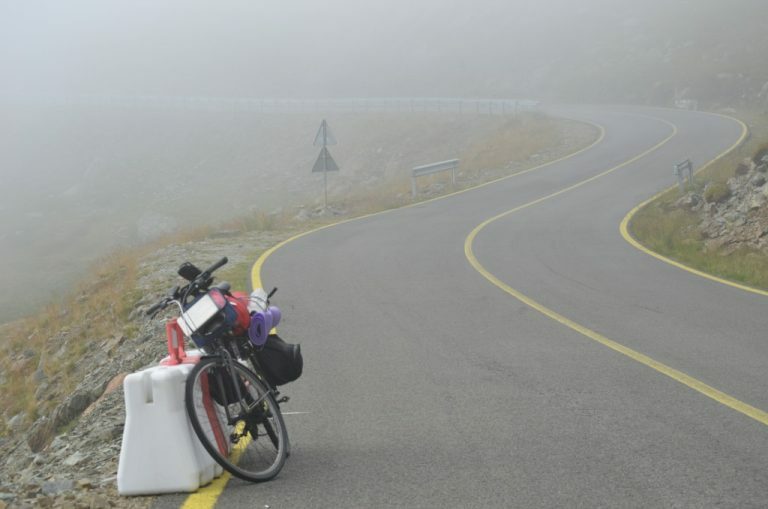 6:30 I leave on a heavy fog and reached the top of Transalpina to conquer another serious cyclist challenge. I was really hoping the fog would lift so I can enjoy the view from the 2150 meters altitude I was at but something even better happened! 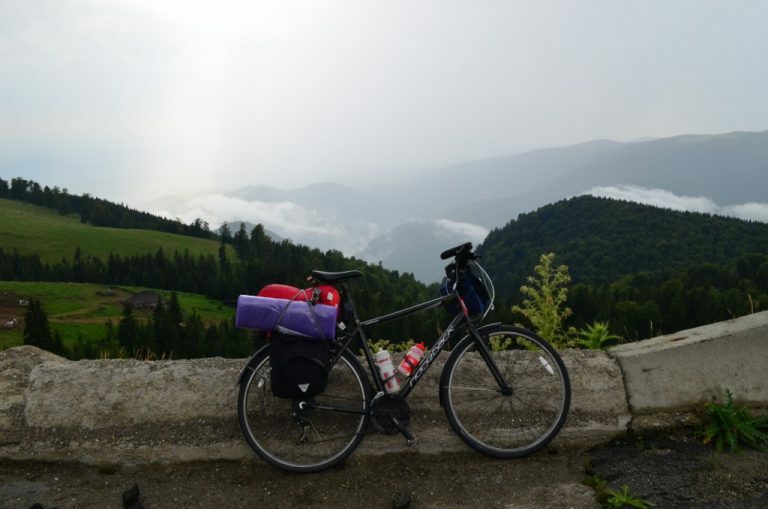 I started to descend and managed to get under the clouds – the view again was fabulous. 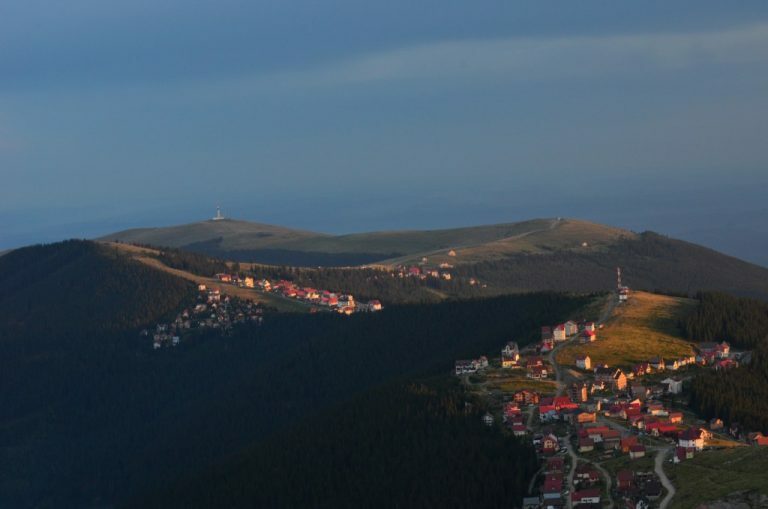 A shy sun was lighting the valleys, peaks and sheep herds on a 50-60 kilometers radius. That’s how much you could see from the peaks. Had my early breakfast there and then quickly but so pleasingly started descending. 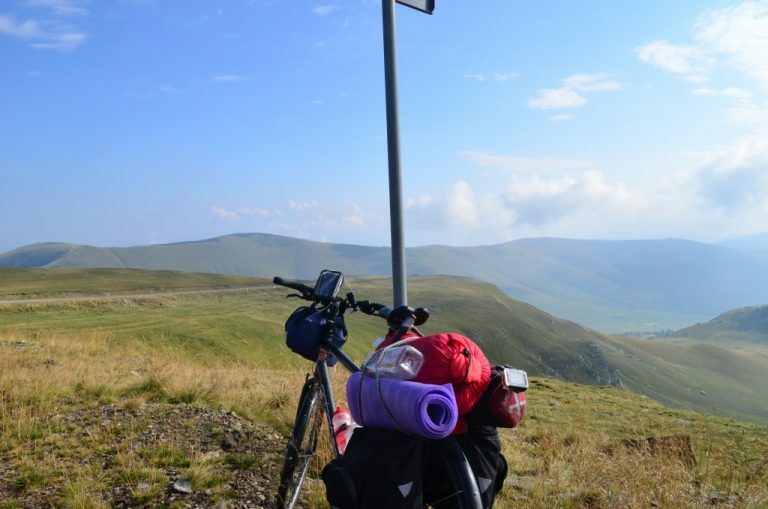 It took me around 5-6 hours (with breaks) to top Transalpina in two separate days and about 20 minute to get to the base of it – That’s the thrill of every cyclist – an empty road, beautiful views, sun in your eyes, bugs in your teeth and the big grin that comes with all that. 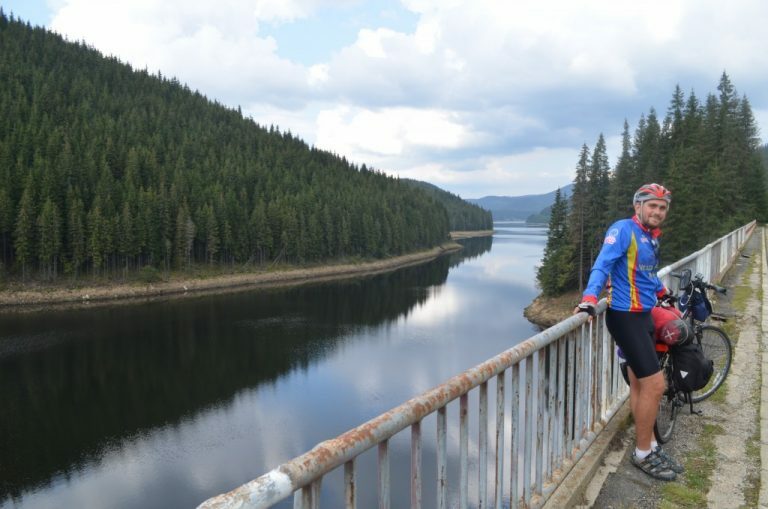 On the second day of crossing Transalpina, I had 126 kilometers to go through 1090m. 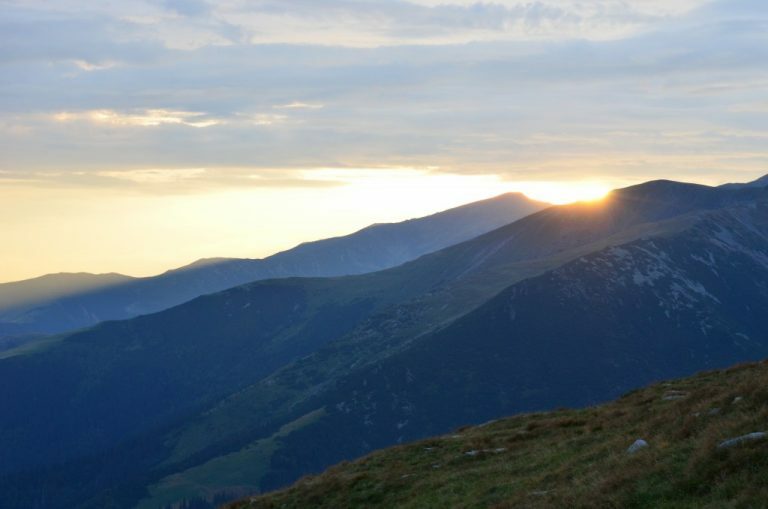 to climb and 2760m. to descend. It was infinitely easier compared to the first day. 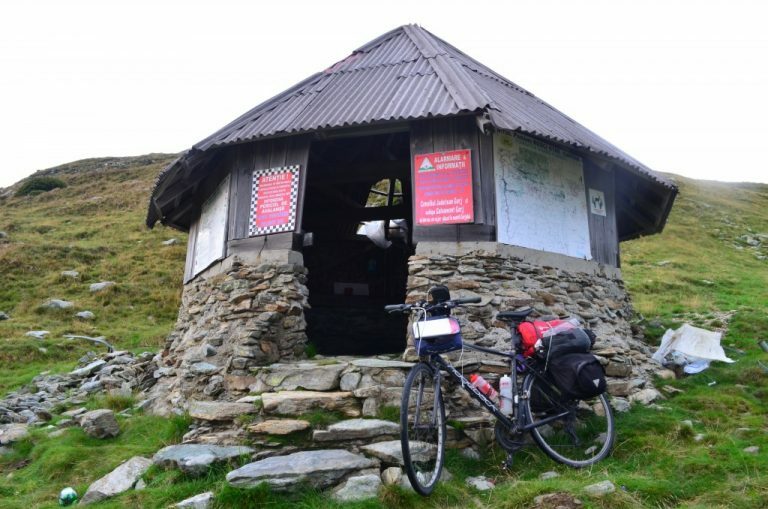 Stopping for some food on the way, I met a group of Polish cyclo-tourists that just did the Transfagarasanu and Transalpina circuit. For the road cyclist lovers this circuit is the dream. 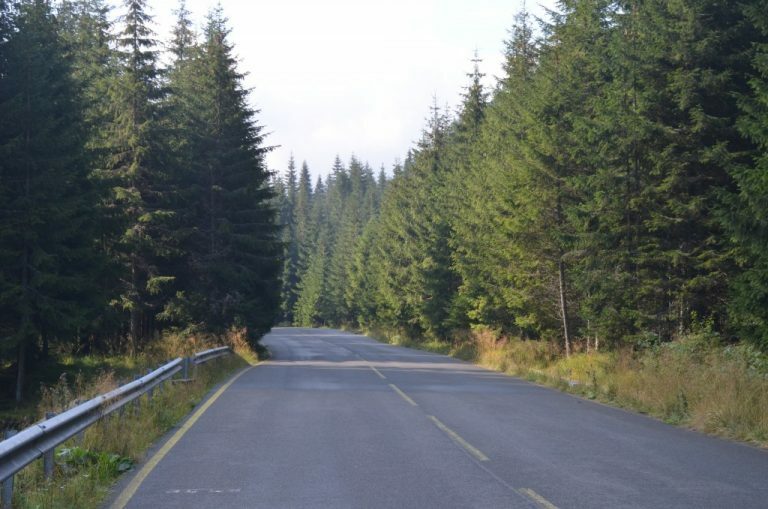 Good quality asphalt, great views and a lot of challenges along the way! 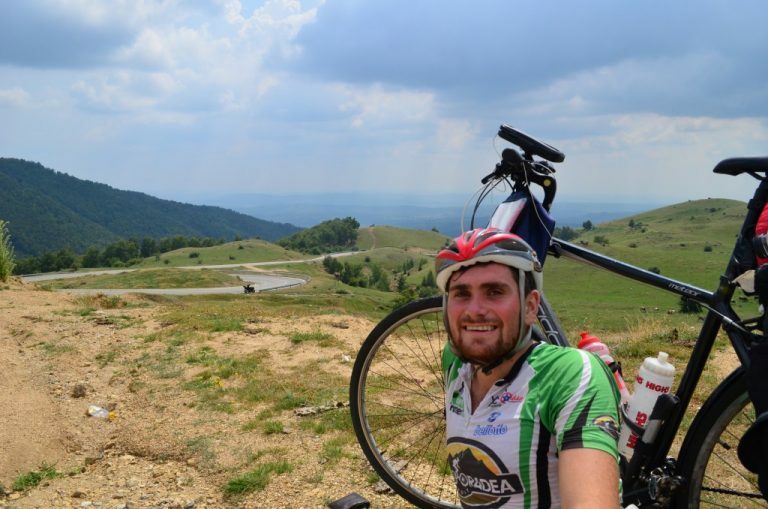 As I was approaching Alba Iulia, my destination for the day, I met a group of cyclists that were a pleasure to peddle with. 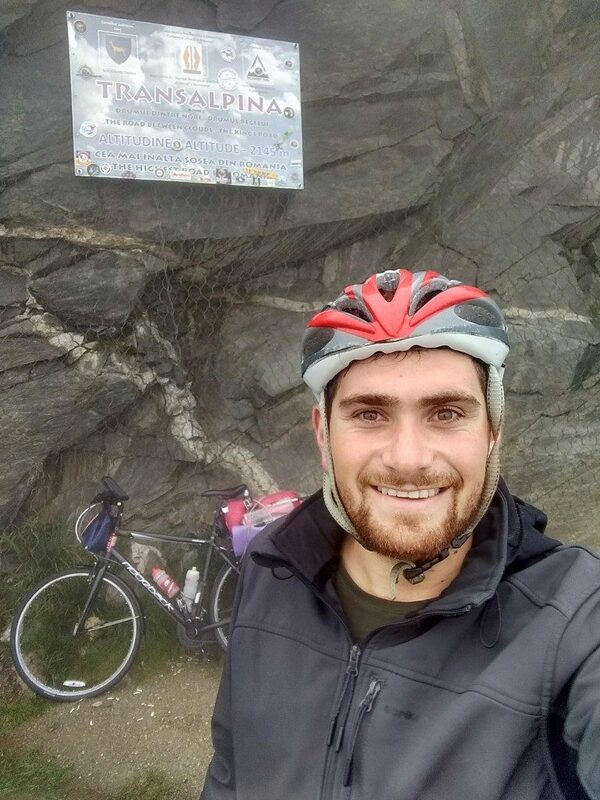 We did about 40-50 kilometers together and chatted ‘cyclish’. 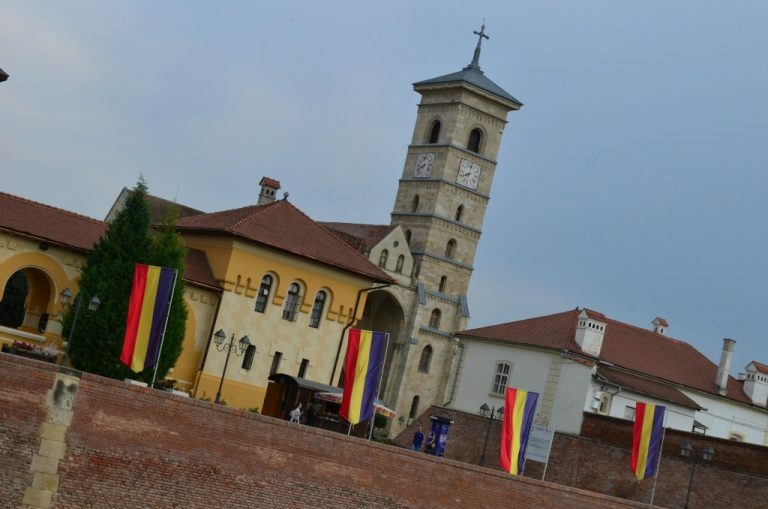 Alba Iulia is a very important city for us, Romanians. 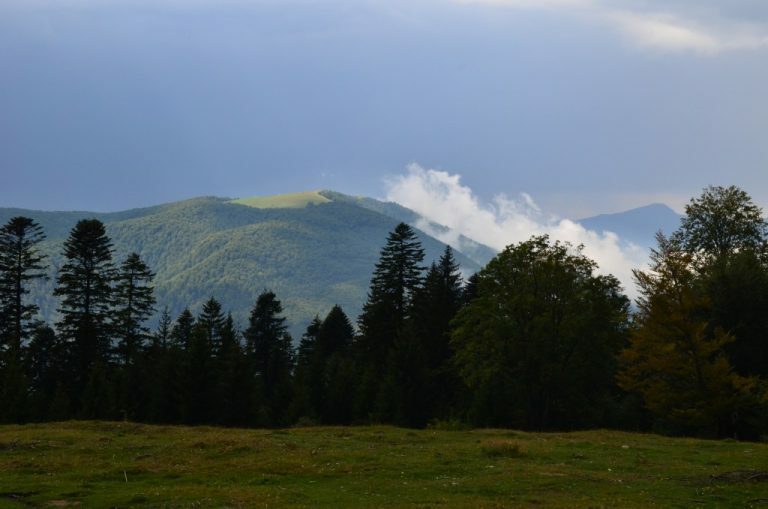 Here, on 1st of December 1918 (100 years ago) Transylvania was united with the Romanian kingdom forming modern known Romania. I have to say that the most beautiful fortress I have ever seen is found here. 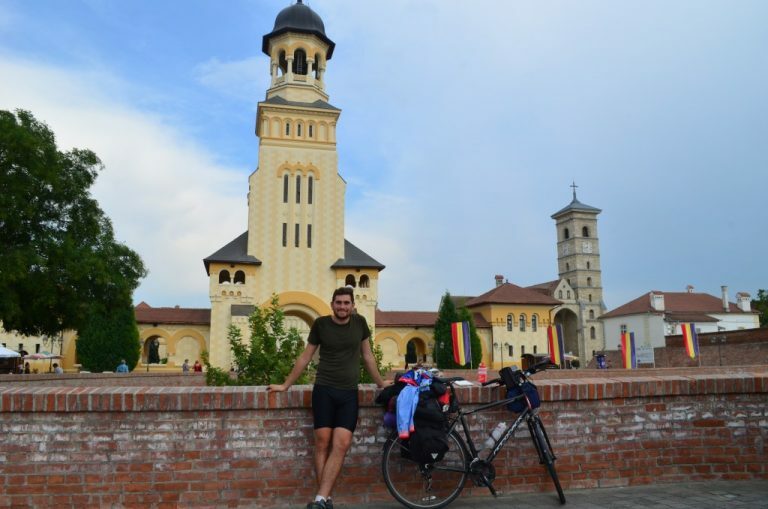 If I didn’t give you enough reasons to come and visit Romania, Alba Iulia is also a hub for incredible people. 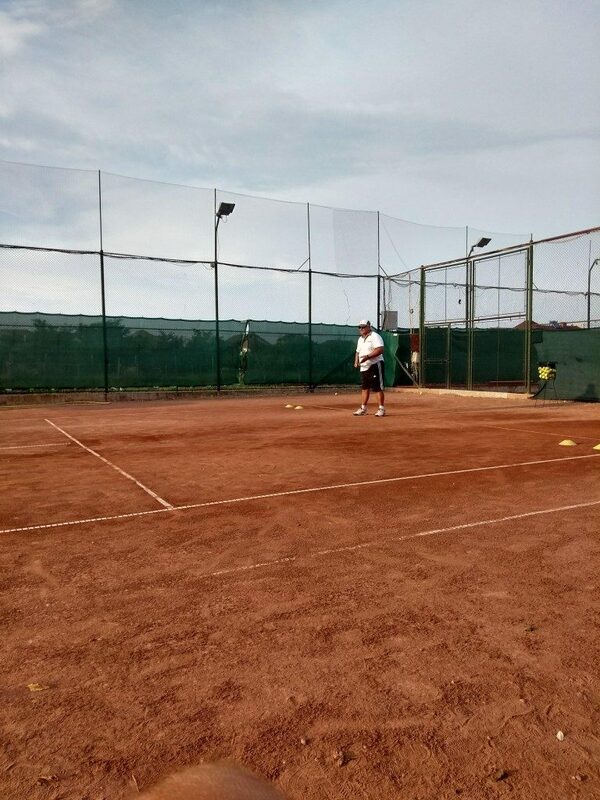 I arrange a few days before to meet my tennis coach from when I was little and he was more than happy to host me. What great memories from when I was a kid! I went to see him at the tennis courts and he has not changed a bit. Anyway, we shared stories, ate some delicious homemade food and reiterated how great it was to have no worries and responsibilities. What I want to point out is that people in Romania have the pride to make most of their food and drinks homemade: Mr. Brandusan and his wife had homemade: ‘visinata’, 5-6 types of gem, home grown tomatoes, cucumbers, apples, pears and many others. It warmed by heart when Mrs. Brandusan made me pancakes because she remembered from 15 years ago I love pancakes (Who doesn’t??). I owe them a big thank you and I am looking forward to repay them! 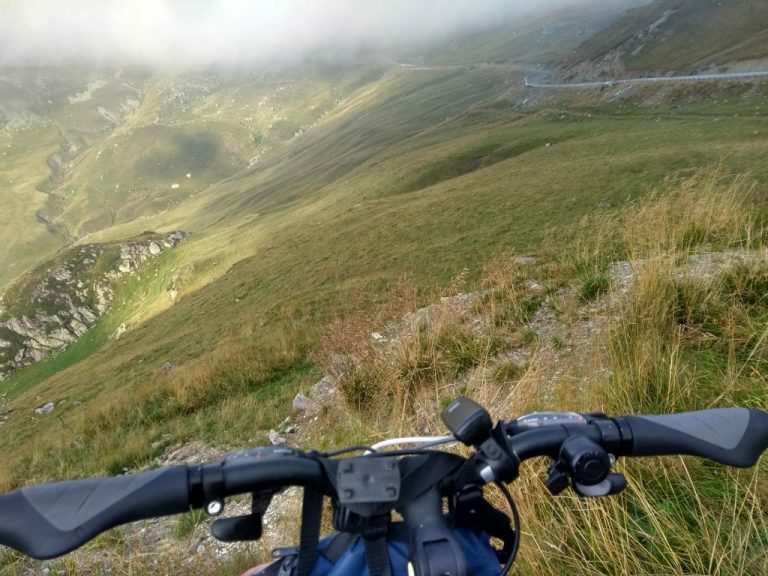 Transalpina was the king stage of my trip and it did not disappoint. 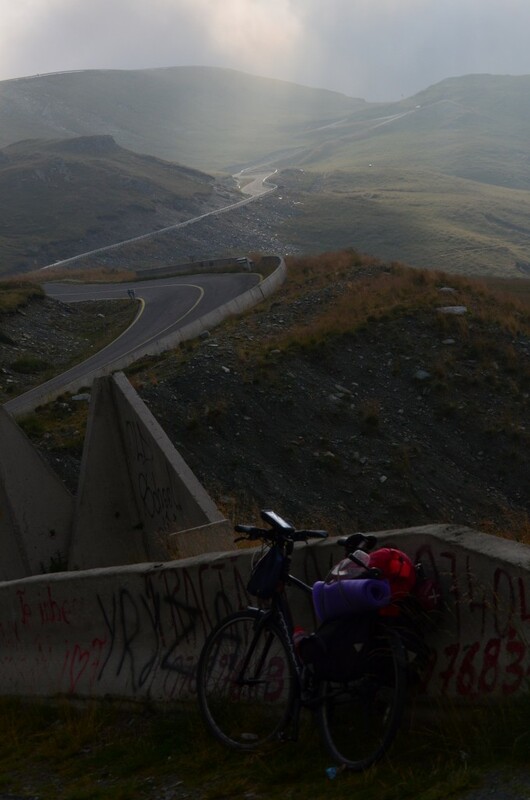 I am so proud to get over the hardest but most spectacular mountain road I set my eyes on. It might be a futile advice, but set yourself some challenges and when you achieve them you will feel like the world is your oyster. 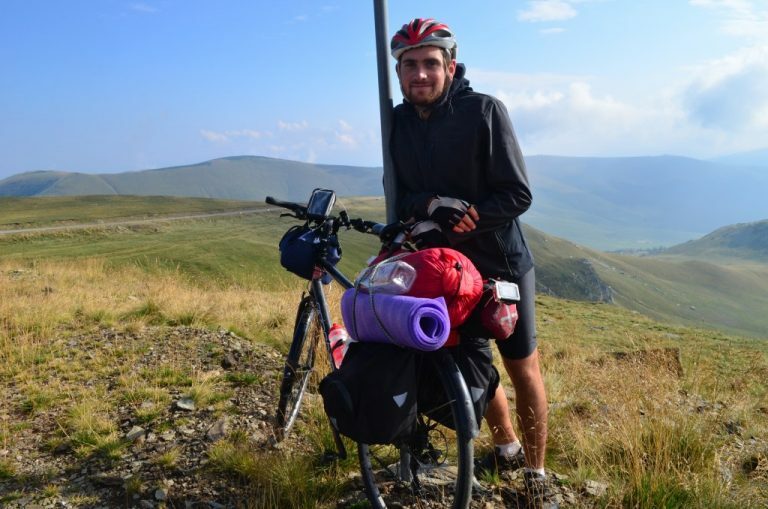 In the next blog post, I will share my experience in the last two days of my trip of which: the furthest I have ever cycled in a day and finally the day I arrived to the final destination, Oradea. 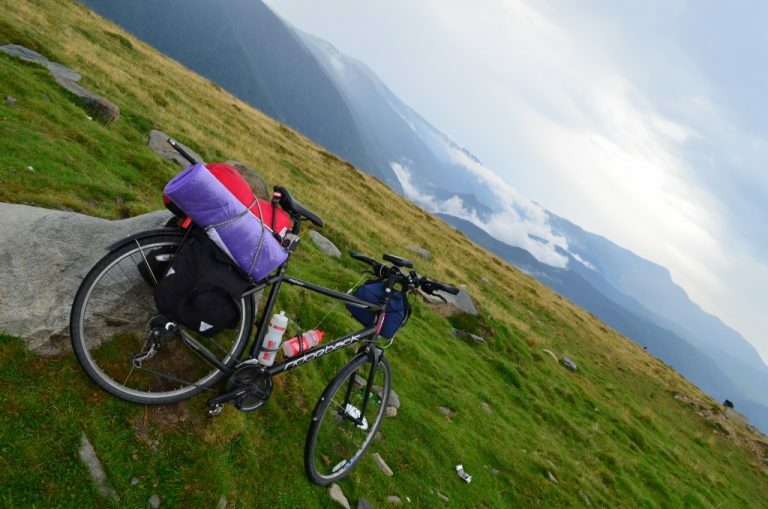 What are your questions of Transalpina and my mission? Let me know what you think in the comment section below!